In this episode, Dr. Bubbs interviews hypertrophy and body composition expert researcher Dr. Brad Schoenfeld PhD. Brad shares his research and incredible insights on the ideal sets, reps and periodization for building lean muscle, the myth of multiple meals increasing metabolism, his findings on fasted-cardio for fat loss, as well as his nutrition tips for maximizing lean muscle gains. Brad also dives into going keto for building muscle, the impacts of "fat bombs" on testosterone levels, and so much more. Brad drops a plethora of knowledge bombs and provides numerous simple, and actionable take aways for anyone trying to build muscle or burn fat. 1) To lose weight you need to achieve a caloric deficit. 2) Multiple meals throughout the day does NOT increase metabolism and promote weight loss. 3) Morning fasted-cardio is neither beneficial, nor detrimental. 1) Minimal suggested carbohydrate intake for maximizing hypertrophy = 3g/kg. 2) Incomplete glycogen recovery increases AMPK thus comprosiming anabolic capacity. 3) "Clean Bulk" - aim for 200-400 calorie surplus per day. Dr. Brad Schoenfeld is an internationally renowned fitness expert and widely regarded as one of the leading authorities on body composition training, muscle development, and fat loss. Brad is a best-selling author and his books have sold over a half-million copies, including the The M.A.X. Muscle Plan - widely referred to as the "muscle-building bible" -Strong and Sculpted, a cutting-edge body sculpting program targeted to women, and his seminal textbook “Science and Develoment of Muscle Hypertrophy”, the first text devoted to an evidence-based elucidation of the mechanisms and strategies for optimizing muscle growth. Brad is a lifetime drug-free bodybuilder, has won numerous natural bodybuilding titles and currently and acts as director of their human performance laborator at Lehman College in the Bronx, NY. In this episode, Dr. Bubbs interviews nutrigenomics expert Dr. Jeremy Keonig, founder and CEO of Athletigen Technologies. Dr. Koenig digs into the intersection between your genetics, nutrition and environment and how these factors come together to influence performance gains. Jeremy explains how genetic testing can help personalize your nutrition and training protocols, specific genes that highlight sensitivity to caffeine, predisposition to injury, mindset and so much more. He also shares some insights into his morning routine, favourite productivity hacks and current nutrition strategies. Don't miss this fascinating discussion! 2) DNA is like blueprint, but a constantly changing dynamic blueprint. 1) COMT gene – “Warrior vs. Worrier”. In general, “worriers” don’t need much stress to over-stimulate, whereas “warriors” need stress of competition to get up for performance. 2) COL5A1 gene – In elite sprinters 48% possess this protective allele compared to only 11% in the general population. Dr. Jeremy Koenig is the founder and CEO of Athletigen Technologies, a leader in providing precision performance insights to athletes and coaches by blending environmental data and genomics. Dr. Koenig’s development of Iris, a sports performance application, builds on his understanding of the valid role of genetic research that aims to enhance understanding of athlete susceptibility to injury, training and recovery. Dr. Koenig was a varsity track-and-field athlete during the completion of his Ph.D. and Postdoctoral training in genetics at Cornell University. In this episode, Dr. Bubbs sits down with expert Sport Scientist and Clinical Sport Psychologist Dr. John Sullivan PhD to talk about how the brain deeply impacts performance. Dr. Sullivan discusses how nutrition builds optimal brain health, the critical role of sleep in performance, how emotions "run the show" in performance, the "gut-brain" connection and so much more in this fantastic episode! John discusses many complex topics but also provides some simple and actionable take-aways for you to upgrade your game. Brain & Performance "Lay Ups"
2) Humans are dynamic, not linear 'beings'. Therefore linear athletic periodization is limited. 3) Smart phones are "designed for addiction", People check their "smart phone" every 15 minutes! 2) "Banking Sleep" - Extending sleep "before" periods of sleep deprivation can improve performance during sleep-deprived states. Dr. John Sullivan is a Sport Scientist and Clinical Sport Psychologist with over twenty years of clinical and scholarly experience. He currently holds appointments within the National Football League (NFL), the English Premier League (EPL), the NCAA (Providence College, University of Rhode Island, Brown University), and the elite military and law enforcement in the U.S. He conducts central nervous system (CNS) measurement/assessment, performance optimization, and concussion assessment/rehabilitation and a frequent contributor writing on sport science and sports medicine. 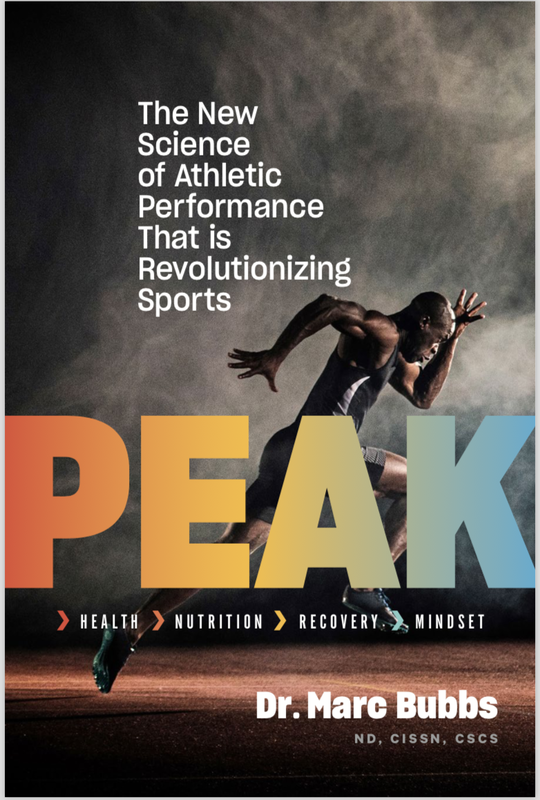 Dr. Sullivan's latest efforts have focused on a series of books which distills the latest performance psychology, cognitive science, and neuroscience, related to optimal brain performance and health entitled The Brain Always Wins. Follow Dr. John Sullivan on twitter @BrainAlwaysWins. Dr. Bubbs sits down with the man, the myth, the legend...Robb Wolf! Robb launched the Paleo Diet into the stratosphere in 2010 with his NY Times best-seller The Paleo Solution and is a driving force in the ancestral health and nutrition space. In this episode, Robb talks about his evolution since his first book, the importance of "personalized nutrition" and how he's changed his diet over the years. He delves into the effect of the microbiome on blood sugar response, the pros and cons of keto diets and fasting, as well as the importance of community in health, and provides tips on training longevity and much, much more! As usual, Robb's insights are profound, succinct and highly actionable! 1) The conventional "Eat Less, Move More" guidelines to lose weight are fundamentally flawed and in direct opposition to our brain's basic instinct. 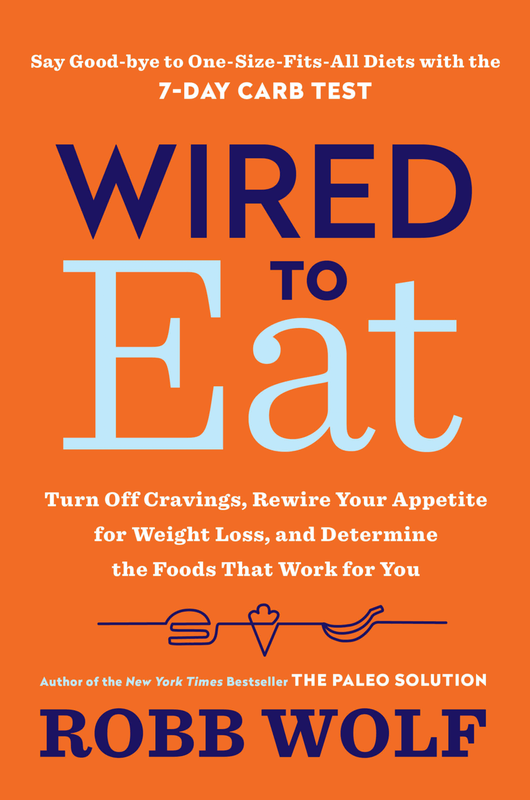 We're wired to seek out high calorie foods with minimal effort. (see Optimum Foraging Strategy). 2) Constant Novelty = Increased Consumption. Constant novelty from food (or iPhone apps!) are highly addictive and light up dopamine levels in the brain, the body's "reward" signal, ultimately programming cues to seek out this food/behaviour in the future. 3) Your Environment = Success. Clear out all processed and snack foods from your pantry at home, and office work space, to set yourself up for success (and ditch the constant snacking). 1) Robb's "7-Day Carb Test" - use a glucometer to assess your blood sugar response to a variety of carbs to see how you react to specific foods. 2) Use Fasting & Ketosis as a "Super-tool" - activate sirtuins (SIRT-1), cell stress mechanisms that “clean-up” abnormal cells headed toward senescence (i.e. problem cells set to trigger inflammation). Caution – heavy glycolytic sports can suffer performance decrements; only use for certain groups. 3) Pure Binaural Beats app – take belly breaths in sync with app to activate vagus nerve activity, parasymnpathetic nervous system and promote recovery. 4) For training longevity - focus on mobility & flexibility, monitor your training volume & intensity, perform a full-body workout twice a week, along with constant low-intensity movement (e.g. hiking). Practice mindfulness as you age; if you feel good, train hard. If you feel tired, keep it light! Robb's "Feeling Frisky" Double Espresso - in the morning upon rising, sometimes a 2nd around 10am. To be avoided on high-stress or short-slept days. Robb Wolf is the New York Times Best Selling author of The Paleo Solution – The Original Human Diet. Robb is a former research biochemist and one of the world’s leading experts in Paleolithic nutrition. Robb has transformed the lives of hundreds of thousands of people around the world via his top ranked iTunes podcast and wildly popular seminar series. Robb has functioned as a review editor for the Journal of Nutrition and Metabolism and the Journal of Evolutionary Health. Robb is a former California State Powerlifting Champion (565 lb. Squat, 345 lb. Bench, 565 lb. Dead Lift) and undefeated amateur kickboxer. He’s provided seminars in nutrition and strength & conditioning to various governmental and military entities including NASA, The United States Navy SEALS, Naval Special Warfare, the United States Marine Corps and the Canadian Light Infantry. Robb also co-founded the first and fourth CrossFit affiliate gyms in the world. For "10% off bone broth at Broyaliving.com use coupon code: 'DrBubbs'.